If the game says "Coming Soon" for Episode Three and you are playing on Xbox One, digital PS4, or North/South America season pass disc PS4 - update your game and try again. You should be able to play when the game is fully updated. Tweet: Set your alarms - the trailer for 'Above the Law,' the third episode of #TheWalkingDead: A New Frontier drops tomorrow at 9am PT. 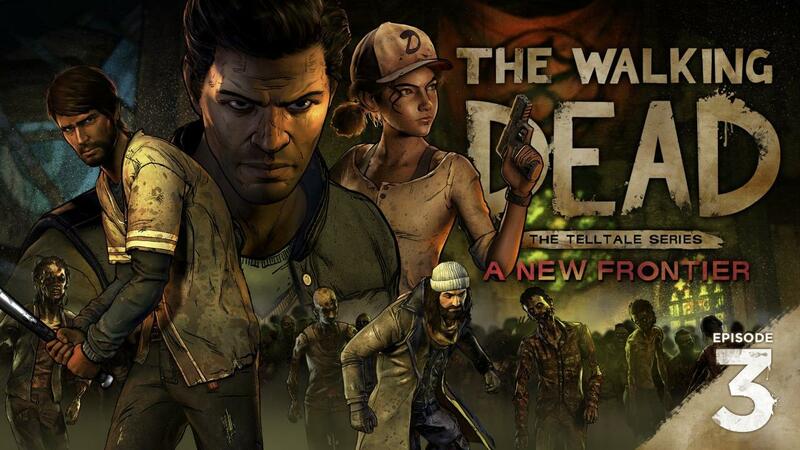 Tweet: Get a first look at the third episode of #TheWalkingDead: A New Frontier, 'Above the Law,' available for download beginning March 28. 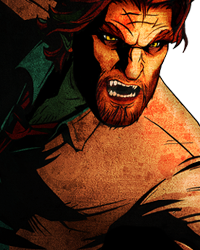 At PAX, Telltale reveals Episode 3 releases March 28th and shows a one minute teaser trailer. See more info and discuss the PAX Panel here! Tweet from Eric Stirpe: I know nothing about TWD:ANF, but I sit next to the Creative Director & I caught her bawling her eyes out today as she tested a scene. Tweet from Eric Stirpe: Caught a glimpse and... yeah. Intense. Fan asks: will any information be released about episode 3!!?? please you left on such a cliff hanger!!! 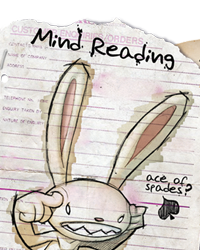 Response Tweet from Job: Will you be at our panel this Friday at #PAXEast in Boston? Will you be watching live on Twitch? Tweet: In further news, we can also confirm that Episode 3: 'Above the Law' is set to debut later next month! Stay tuned here for details. Tweet from Job: Catching up on #TheWalkingDead - SUPER excited about the feedback over the holidays! 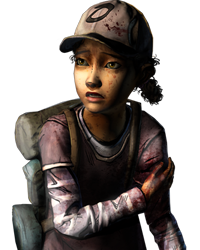 Clem has an Ep3 scene that literally broke me. Fact. Fan Asks: hey job....(whisper) when's the episode coming out? You can give me a hint if you want yknow what I mean? Response Tweet from Job: won't be this month, should let folks down easy on that - but we hope to have news in February. Big episode! Worth the wait. Response Tweet from Job: Yeah. Having a two-part premiere kind of puts us at a slightly unusual rollout. Definitely working in a lot of fan feedback for Ep 3, too! Do not discuss story spoilers (or share Let's Plays/other videos) for this episode here in the Waiting Thread - Doing so leaves you at risk of punishment. Episode Waiting Threads are meant to be spoiler free discussions, so please respect that. Discussion of spoilers from past episodes is okay. You all can post here, but I figure that another moderator will post this under their account. Don't worry, you can post here. My post just meant that another mod is welcome to repost this under their account since I already got the Ep 1/2 thread. And thus we circle back to the begining. My blind call: episode 3 will come January 31st. I could see that. It makes sense, with the Holidays coming next week. I'll go with the 24th! 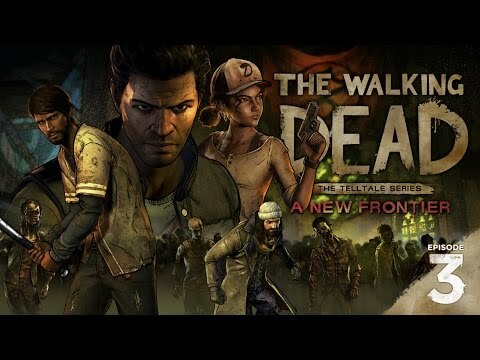 While I did enjoy the first two episodes, I really hope Telltale does take advantage of the holiday break to take some time and improve the remaining episodes. Usually I don't complain about episode lengths, but it did feel like the second episode was way too short, and the first episode a bit too for that matter. I looked at everything and wait for the timer to practically run out, and the first one was barely 1 hour 20 minutes, and the second was 1 hour 10 minutes. 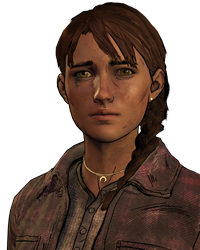 To make the episodes longer, maybe have more flashbacks that focus on Clementine, I feel like there's a lot more they could have told there from when Kenny/Jane died/when Wellington fell to when she meets Ava. 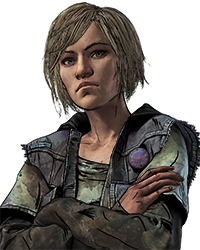 Stuff like that could have easily added at least 10 minutes to both episodes, give us more time to play as Clem, explore her character more, not make our endings feel so pointless, and have her feel not as shoehorned in (which is not something I believe, but others do). 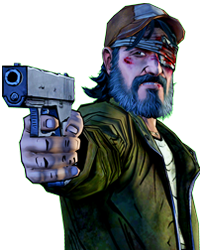 I understand Telltale wants to attract new players, but they shouldn't also ignore the old ones, while many (myself included) love Javier and what's going on with him, we still are heavily invested with Clem. You chose to make her a co-playable character, so start treating her like one. I agree 100%, Clem really feels like she is just there just because its Clem. Also the flashbacks, they are so short that there was no need to do that to Kenny and Jane. 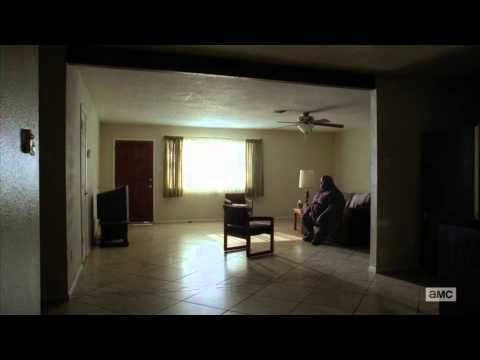 For example the Kenny ending, you telling me that what happened to Kenny NEEDED to happen? Why couldnt he have met Ava too? 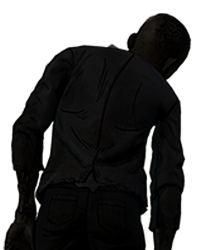 Would it have been to hard to have Kenny chime in like 3 times? The flashbacks are so short that I feel like they could have went all 5 episodes and kept Kenny and Jane with us. God I missed those threads. Only pretty people make it far in the apocalypse. Loving the new season so far...other than the Kenny and Jane thing...but hell...I think every game needs something to divide the opinions and call into question the decision makers...Episode Length Needs to be at least 90 Minutes. Clementine and Javier...killer team...just ask the Bar. For me ep1 was nearly 2h but ep2 was just a joke! Ep 2 was a little more than 1h for me. Edit: Ah, yeah. They are also on consoles that need more optimising. My bad. While I would like to think in that light, I just don't feel like the season is gonna pick up after Kenny. It's just put such a bad taste in my mouth that's gonna take a long time to get over. Then again, not sure why I would be talking to you of all people about all of this. Loving the new season so far...other than the Kenny and Jane thing...but hell...I think every game needs something to divide the o… morepinions and call into question the decision makers...Episode Length Needs to be at least 90 Minutes. Clementine and Javier...killer team...just ask the Bar. Crossing my fingers that the rest of the episodes are longer. I didn't mind episode 1, but wow 2 went by FAST. Not too great tbh. 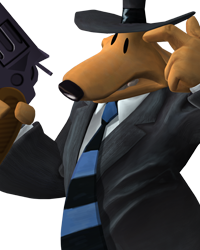 I kinda just lost my favorite video game character of all time in the dumbest fashion. Well, we can just pretend that ANF isn't canon. It gets much more enjoyable thanks to that. While I would like to think in that light, I just don't feel like the season is gonna pick up after Kenny. It's just put such a ba… mored taste in my mouth that's gonna take a long time to get over. Then again, not sure why I would be talking to you of all people about all of this. I agree completely that it's been way too short for $5 a pop. Getting less bang for the buck than going to the movies, and that's not good at all. There's not enough there to satisfy. I like Javier and the group so far, glad to see Paul J. I thought that was really cool. I absolutely hated what they did to Jane. She was all about survival, and she'd already big sistered Clem and committed to looking after one baby. Made absolutely zero sense. They also set it so soon after Season 2, there's very little intervening time to do more with her via flashback. I haven't seen what they did to Kenny. They definitely could've made more appearances this season, and the survivor shouldn't have been killed off. Just feels like pure expedience. 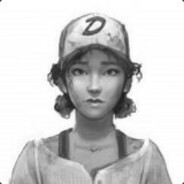 Clem has lost her family, two entire large groups, and a town at this point, c'mon. They have to represent survivable groups at some point. Right now, she seems like the entirety of the core cast all by her lonesome. 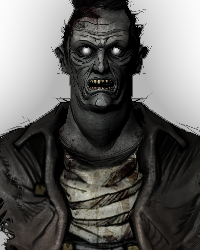 I hope we can start expecting more survivors to carry forward after this season. Really liked Mariana?, the niece. They could've done a lot more with the family before hitting the reset button. Really disliked how they fell into the TWD trope of killing off the most likable characters, but that did strike home as a shock moment. It's so short though, every death seems cheap. No time to get into the characters. edit: For some reason it told me it wasn't posting, so this was my third attempt, but now I'm seeing the other two up there. It won't let me edit them or delete them, though. Not sure what the deal is. 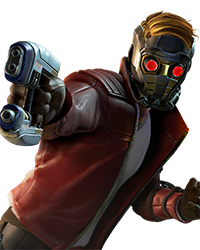 Mods, this is the one I want to keep, if it'll let you delete the other two. IDK. I'm really looking forward to episode 3 , i'm guessing we will see it at the end of January or early February. Looking at the different stats it will be interesting to see if A New Frontier beats season 2's peak. I'm really looking forward to episode 3 , i'm guessing we will see it at the end of January or early February. Just out of inte… morerest i checked the stats to see what the peak Steam players as for episode 1&2 compaired to other Telltale peaks * A New Frontier: Peak of 8,278 Players * Batman: Peak of 4001 Players * Tales from the Borderlands:Peak of 8690 Players * Game of Thrones: Peak of 6771 Players * The Walking Dead Season 1: (Note, stats didn't exist until after it released) Peak of 3861 Players * The Walking Dead Season 2: Peak of 18,627 Players * The Wolf Among Us: Peak of 14,321 Players * The Walking Dead Michonne: Peak of 2435 Players * Minecraft Story Mode: Peak of 6423 Players Looking at the different stats it will be interesting to see if A New Frontier beats season 2's peak. Poor Batman. I mean I understand why, after the terrible tech problems for while, but I hope it picks up in the future. 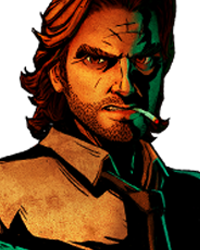 I wonder how many sales does Telltale need to break even with the budget. I am curious. I wish we were given a teaser for Episode 3. Feels wrong without one. Aside from that, I hope these next few episodes are longer than what we've just gotten. Episode 1's length was satisfying, but Episode 2 was way too short, and things seemed to be moving a bit too quickly. I hope Episode 3 slows things down and gives us more time to get really invested in the characters and the story. Yeah where was the preview of episode 3? Did they forget it or do they dont make previews anymore? So hopefully the episode does indeed come out monthly, I imagine it will though. Late January/Early Feburary release are my bets. Except for Jane and Kenny. Man, I feel bad for Batman. That series deserves more love. I heard from a game store in my place that ep.3 will come out in February. Well telltale just released 2 episodes at once so I would not be surprised if they released in February also because if break they probably barley have the episode ready because there was no "next time on" but I think episodes one was going to release on November 15th like it said on amazon and episode 2 on the 29th but we got both of them on the 20th. 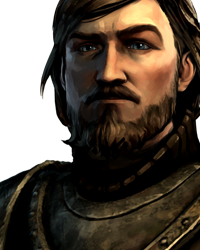 If it does release in February doesn't telltale always release on a certain day in February? It's the 17th right?